Here are the 10 worst consumer production cars in the world, ranked from bad to worst. NEW YORK ( TheStreet) -- What makes a car bad? 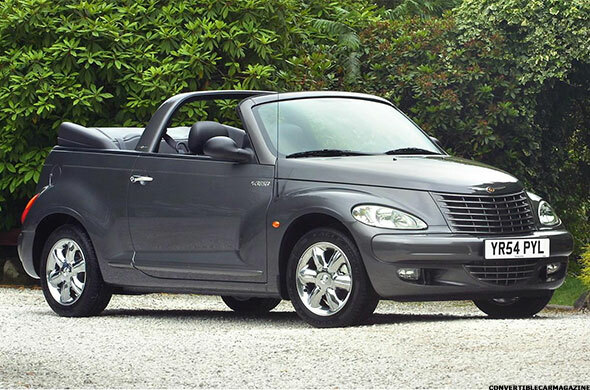 Is it the car with the worst exterior styling? The most dreadful interior? The most uncomfortable ride? The least reliable/most poorly made? Or is it a dismal combination of all these factors? For our purposes, the worst car in the world is not only the vehicle that incorporates the most of these negative traits, but also more importantly, has no redeeming qualities of what makes a car great whatsoever. Over the years, car designers and manufacturers have produced many vehicles which unfortunately have rolled out into dealerships and, even more unfortunately, purchased from those dealerships. There is a large sample of particularly bad vehicles to choose from. The late 1960's - early 2000's offered up the majority of the nominations in making this list. However, there could only be 10 named to this prestigious list of ill repute. We have scoured the internet in order to put together the worst of the worst. We referred to three lists as our main sources: Edmunds.com's "100 Worst Cars of All Time," TIME's "The 50 Worst Cars of All Time," and "The Worst Car in the History of the World" episode of Top Gear (the U.K. version of course). From these three, we whittled down and strung together an ultimate list of 10. Any car that tended to unaccountably erupt into flames during low-speed rear-end collisions deserves a spot on the list amongst the worst cars off all-time. 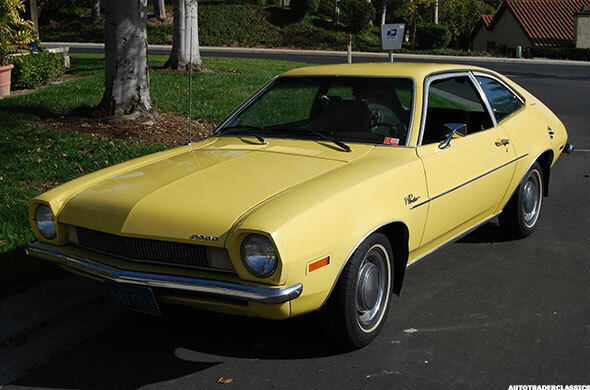 To make matters worse, Ford decided-in its infamous cost-benefit analysis of the situation that became known as the Ford Pinto Memo-that paying off the cost of settlements for the victims ($50 million) was more financially beneficial than recalling and reinforcing the car's rear ends ($121 million). Colloquially nicknamed the "PT Loser," I cannot imagine many things worse than be seen driving one of these eye sores. 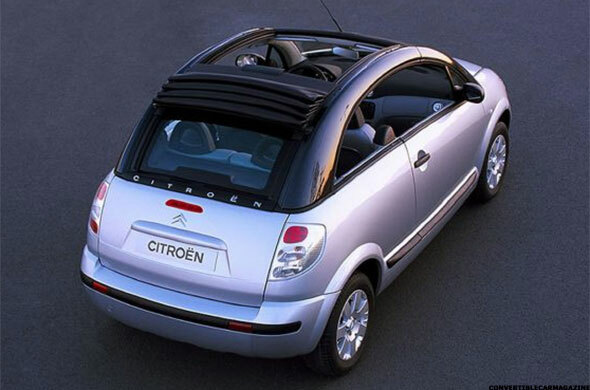 Oh wait, yes I can, if it came in a convertible version. It is fitting that the Reliant Robin is third from the bottom of this list, considering the car only had three wheels. But it wasn't that it had three wheels, it was where those three wheels were positioned: two in the back, one up front. This made the car incredibly unstable, especially around turns that exceeded 25 miles per hour or angles of 45°. 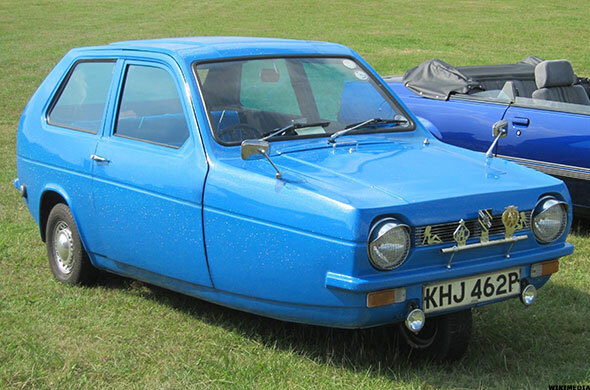 Despite its ridiculousness and impracticality, the car uniqueness caused it to gain somewhat of a cult following. In fact, many people enjoy this car, as long as you don't take it seriously. We may have figured out the origins of the term "hunk of junk" without rummaging through the depths of the internet. 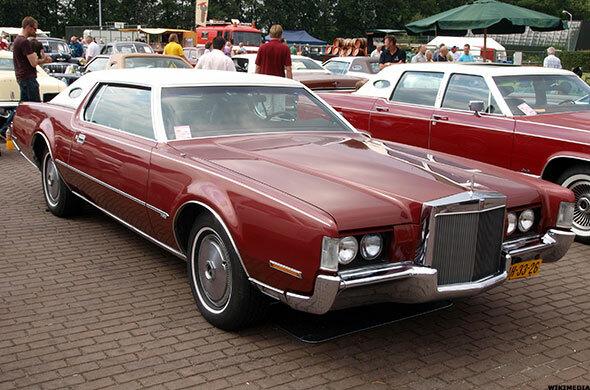 The fifth generation version of once a proud American luxury vehicle, the Lincoln Continental Mark IV is ugly, slow, lumbering, graceless, and just plain boring. It looks like something Cruella De Vil from 101 Dalmatians would drive if she simply stopped caring. "I think when they were designing this car, no one, in any meeting, used the word 'precision,'" BBC's Top Gear presenter and motoring journalist Jeremy Clarkson said. 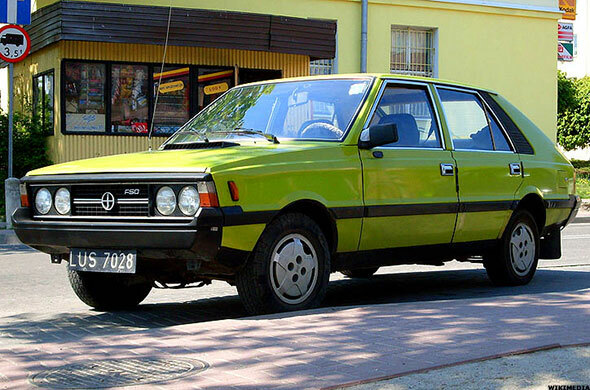 The FSO Polonez is considered by many to be one of the most undependable, unstylish cars ever made. Here's what Jeremy Clarkson had to say about the Polonez: "Built by communists out of steel so thin you could use it as a neck curtain, it is as reliable and long lasting as a pensioner's erection." "I can only assume that here, [the stylist] was experimenting with trying to design a car after consuming four liters of absinthe." Other than the fact that it looks like something that would be dispensed out of a gumball machine, the car is painfully impractical. Not only do you have to manually disassemble the roof which is exhaustively time-consuming, it takes a LEGO instruction manual in order to piece it back together. Even worse, once you have finally taken the roof apart, the pieces cannot fit in the car, making the entire experience feel like a cruel joke. What the hell is this thing? 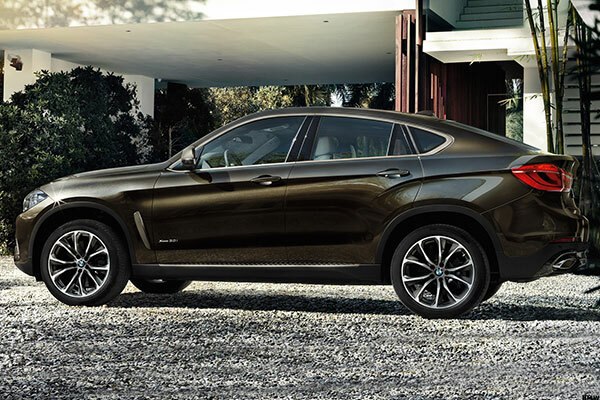 Dubbed by Top Gear's Jeremey Clarkson as "The Stupidest Car in the World," the BMW X6 doesn't serve a purpose. It is car designed to look and ride like a sedan and, at the same time, boast a tall driving position and grit of an off-roader. However, BMW's self-acclaimed SAV, or "sports activity vehicle," can't do either properly. 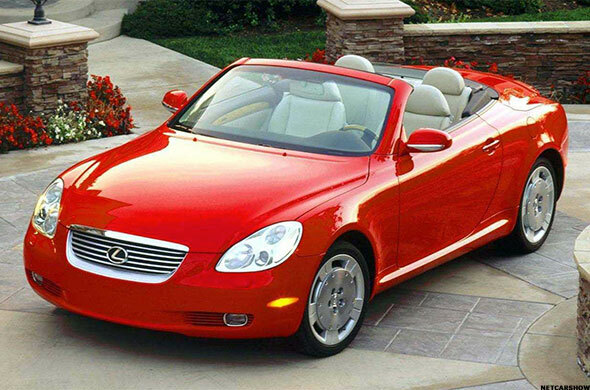 Coming in at number three is the 2002 Lexus SC 430. Being a Lexus, it is not the build quality or interior that disappoint. However, it is what the brand brings you to expect. With its original $61,055 MSRP price tag and higher maintenance costs, consumers rightly expect something extraordinary. What Lexus delivers, however, is a car with an attempt at a "sporty" look with a power plant delivering a measly 300 BPH, not nearly enough for a the weight this Lexus drags around. No, sorry Breaking Bad fanatics. 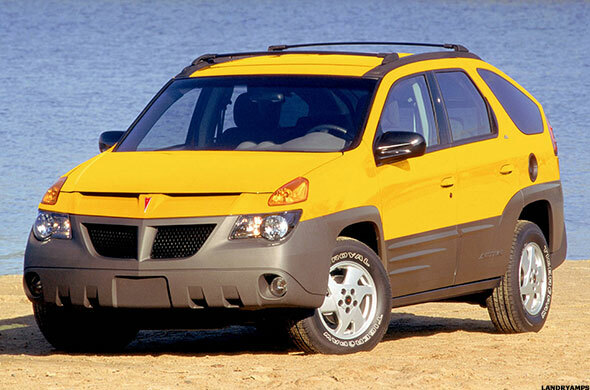 Protagonist Walter White does not make the Pontiac Aztek cool. An argument can be made that Walter White cannot really make anything "cool," but that's a separate discussion. But perhaps it is fitting that a character depicting no little to no redeeming qualities, drives a car depicting little to no redeeming qualities. Apart from its recent crappy celebrity, this car is shamefully ironic. The front of the Aztek almost looks as if GM built an SUV, but then decided to scalp the hood of a Pontiac Grand Prix, fix it atop the Aztek like baseball cap and say, "voila!" You may look at this car and think to yourself, "that's not that bad." But what it is that makes this car particular terrible, it's what it is not. When you get into this car, you feel nothing. There is nothing special or unique about the Eagle Premier. It is almost as if the designer took his four-year old kid's crayon drawing of car and decided to model the Eagle Premier after it. It has no style. It is not fast. It's not at all "luxurious" despite it being branded as a luxury car. It doesn't have particularly good gas mileage. It is the most underwhelming car in the world. Even with the nine other dreadful options on this list, at least they have a story to tell; something unique about them. 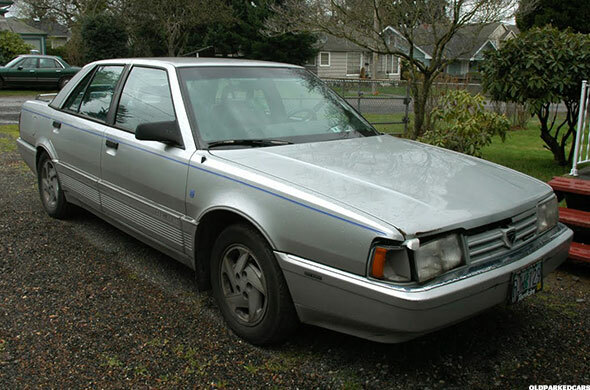 This car looks like the generic silhouette of a vehicle in which you would spot only on a 25-year old poster that has been hanging in tired DMV, generic and apathetic in nature, faded and defeated from years of exposure to florescent lighting and the restless complaints of impatient souls. It is a symbol of sheer indifference and nothingness.